What: Enjoy this free Victorian-inspired festival for the entire family. From costumed characters, entertainment and performances, visits from Santa, and a plenty of vendors selling seasonal gifts and wares. What: Cheer on the Fernandina Beach Fire Department, Fernandina Beach Police Department, Nassau County Fire-Rescue and Nassau County Sheriff's Office in this annual softball tournament! This year's event will benefit the Muscular Dystrophy Association. Fun activities will be available to families and spectators. What: Watch the dazzling lights of Christmas drive by, complete with a marching band, dancers and Santa. 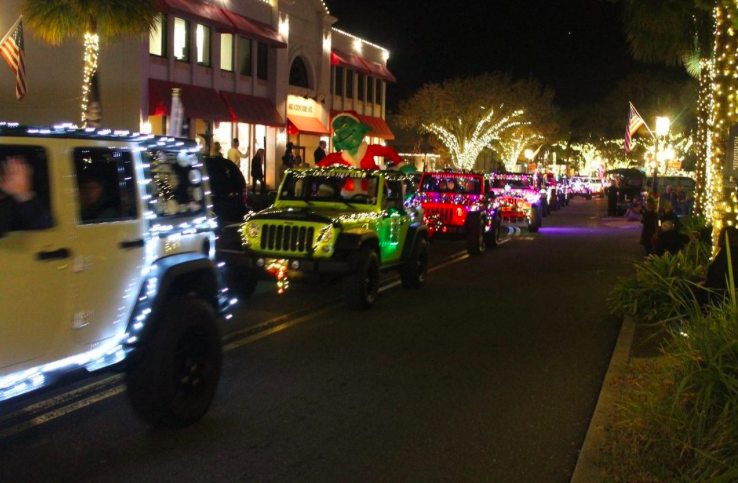 What: Watch the “Shrimp Drop” at 7 p.m. on New Year’s Eve and then enjoy a fireworks show in Fernandina Beach! Event features live music, interactive kids' zone, food, and commercial vendors. Don’t forget to stop by our Timoti’s Fernandina Beach location for wild-caught family-friendly meals!